ABC First Aid Suppliers are here to keep your family and workplace safe. 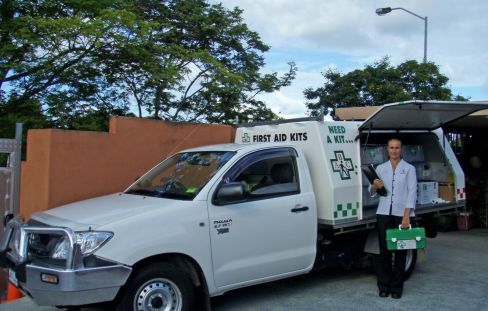 We provide a specialist service in which we supply and restock first aid kits to clients Australia wide. Our first aid kits comply with the WPH code of practice and safety standards and can be tailored to suit the needs of each client. Deliver and demonstrate first aid kits suitable for your particular needs or workplace requirements. Offer a full range of quality first aid kits….guaranteed. All expired items are donated to a local volunteer wild life carer…..utilising what they can for our injured wildlife during disasters. Provide demonstration kits (add and restocking service on site) on request. After supplying you with one of our first aid kids, ABC First Aid Suppliers will return to you when necessary and restock your kit to ensure safety at your home or workplace is always at optimum levels. Located in the Gold Coast, we service the local area and are able to provide demonstration kits on request. ABC First Aid suppliers have over 22 years experience servicing businesses and clients. Over this time we have operated to ensure that businesses are able to easily implement requirements of Work Place Health & Safety. We provide effective and cost effective solutions, ensuring that our clients are provided with quality first aid kits when they are needed. Our dedication to your safety…..
We are fully committed to ensuring the safety of your home or workplace. Here at ABC First Aid Suppliers, we understand that safety is something that cannot be left to chance. We also understand that these types of things can easily be forgotten when running a business. So we ensure safety is never forgotten and all of our clients are as safe as they can possibly be. You can trust that when you deal with ABC First Aid Suppliers, we are a family run business that are friendly and have a total understanding of your needs. We put customer service as one of our main priorities and always ensure that you are being looked after. ABC First aid suppliers are your experts when it comes to first aid supplies. Our Kits are restocked every 3 to 6 months or on request and all products hold long shelf life. 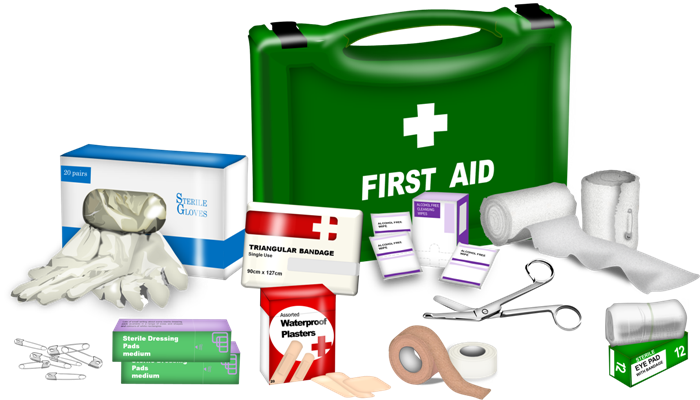 We can also come to your workplace and service your first aid kit on site. This includes that your kit is checked for out of date items and updated to workplace health & safety standards. This makes it a cost effective solution for your company. We also stock safety products, signs and in-home care equipment so you don’t have to worry about a thing!